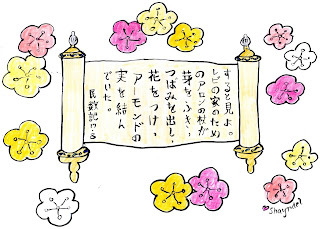 Challah and Cherry Blossoms: Daily Bread Postcard! I was so intrigued with the blossoming staff of Aaron, as you can see in the two posts below, that I chose this scripture for today`s postcard! 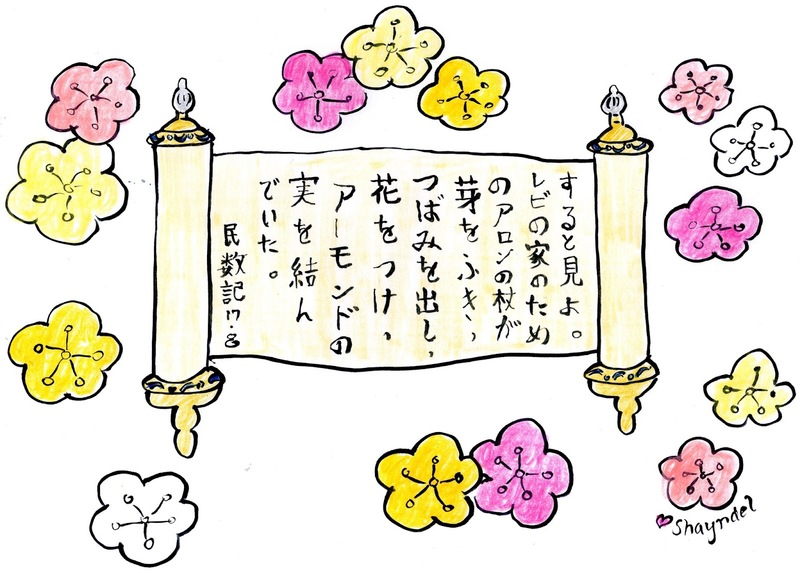 This week, one postcard in three languages! 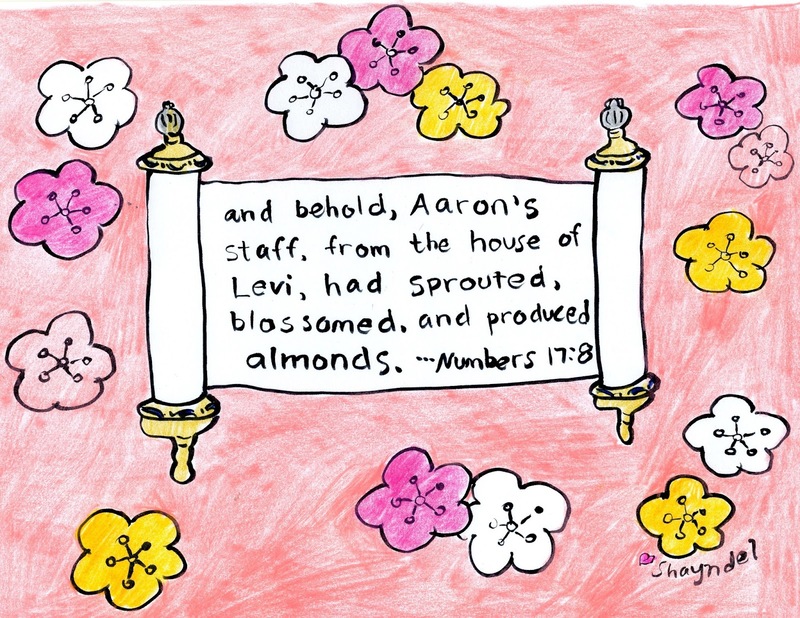 And just to share a discovery in this week--- from being intrigued by the staff and the almond blossoms, I ate a lot of almonds this past Shabbat! The almond blossoms also led me to look up what an Almond tree in Israel looks like. They `struck` me as being so similar to the Cherry Blossoms, that I am sure it will lead to a post sometime on Almond trees/blossoms and Cherry trees/Blossoms! Israel/Japan! 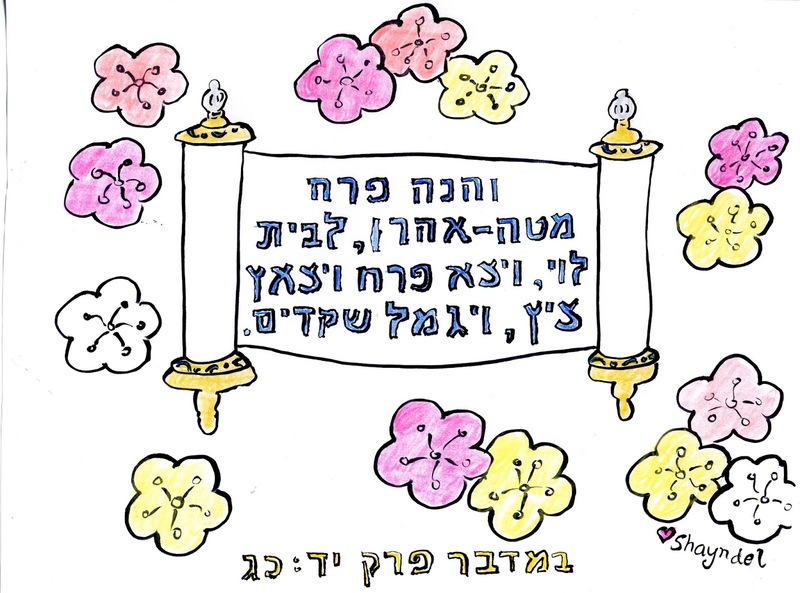 this weeks readings continue in Parsha Chukat. 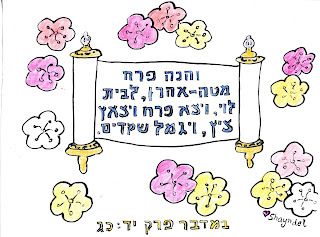 If you would like to, please see link on Sidebar or click HERE and find this weeks Parsha Chukat in the list of weekly reading. This week contains another intriguing connection about Aaron`s Staff. I learned through teachings on this Torah portion, and then saw when I went back again to read it, that the staff that Moses uses to hit the rock, `The Staff` that ADONAI asked him to take, was Aaron`s staff. Mt. Fuji Torah Challah for Shavuot in Japan!